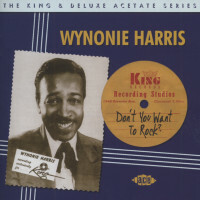 Top rival to Big Joe Turner in the blues shouting sweepstakes, Wynonie Harris had an ego as big as his voice and a string of jumping hits for Cincinnati-based King Records that were a direct harbinger of the rock and roll revolution to come. 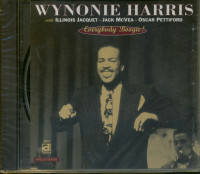 The Omaha product was born August 24, 1913 and got into show business as a dancer before shifting his focus to singing. He belted the blues in Omaha during the second half of the '30s, then relocated to L.A. in 1940, where he starred at the prestigious Club Alabam on Central Avenue and was tagged with the nickname 'Mr. Blues.' Harris joined Lucky Millinder's big band in 1944 as one of its resident vocalists and cut his first sides with them but was back on his own by year's end. He cut for Philo and Apollo in 1945, scoring two hits for the latter, and Bullet and Aladdin in '46. 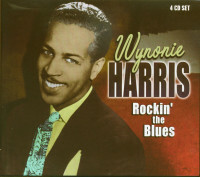 Then Syd Nathan inked him to King Records in 1947 and Wynonie's fortunes took off for the moon. 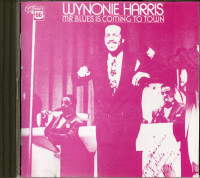 Harris turned Roy Brown down flat when the young singer offered him Good Rockin' Tonight but had no qualms about covering Brown's DeLuxe version, which gave Wynonie his first #1 R&B smash. 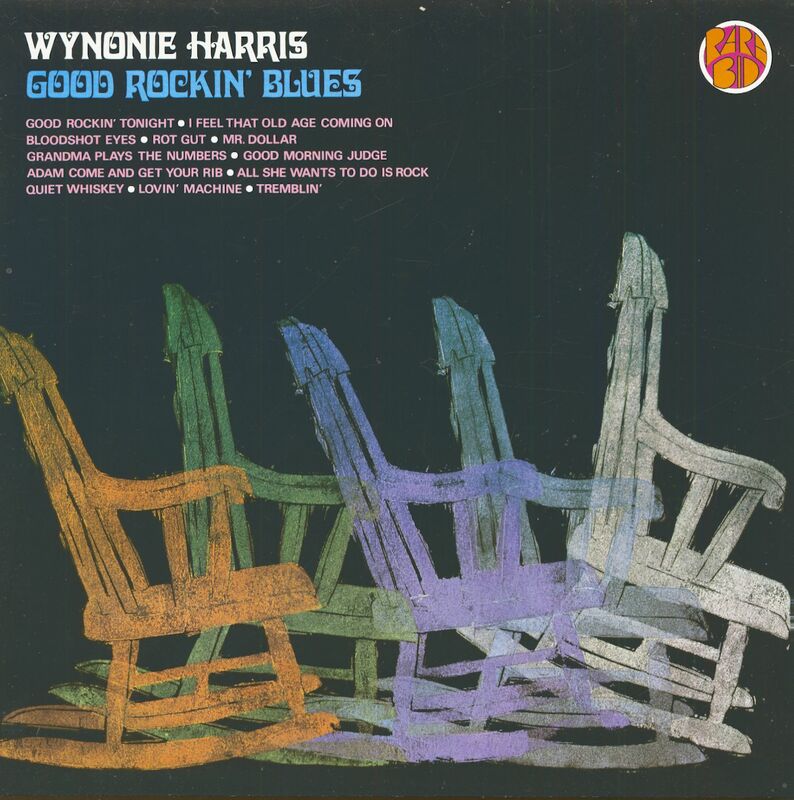 Hits came fast and heavy after that, many reflecting Wynonie's ribald persona: Lolly Pop Mama, the '49 chart-topper All She Wants To Do Is Rock and its flip I Want My Fanny Brown, Sittin' On It All The Time, I Like My Baby's Pudding, and Good Morning Judge in 1950, the country-rooted Bloodshot Eyes in '51, and the lyrically surreal Lovin' Machine the next year. 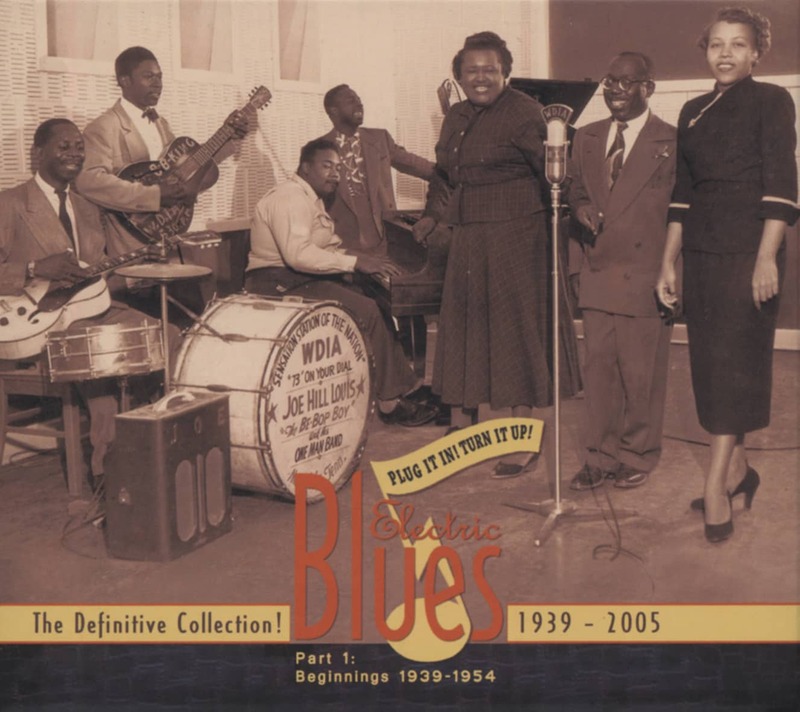 Seldom using guitar in a prominent role, Harris made a rare exception on Shake That Thing, a salacious ditty cut April 14, 1954 at King's Cincy in-house studio with pianist Sonny Thompson's band (anchored by bassist James Royal and drummer Philip Paul). 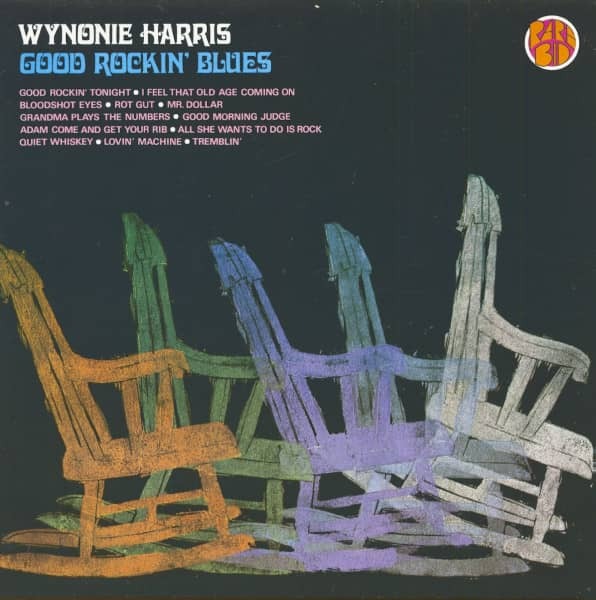 Kansas City guitarist Clarence 'Sonny' Kenner glides into a twangy break that greatly enhances the leering number, which Wynonie claimed to have written even though it went all the way back to 1925 and banjo-playing songster Papa Charlie Jackson. Like most of his postwar R&B peers, Harris couldn't weather the rock 'n' roll storm. His fall from grace wasn't pretty. Later singles for Atco, King again, and Roulette were mere shadows of Wynonie's former lusty output, and a '64 Chess date was shelved. Throat cancer killed Mr. Blues on June 14, 1969 in L.A. 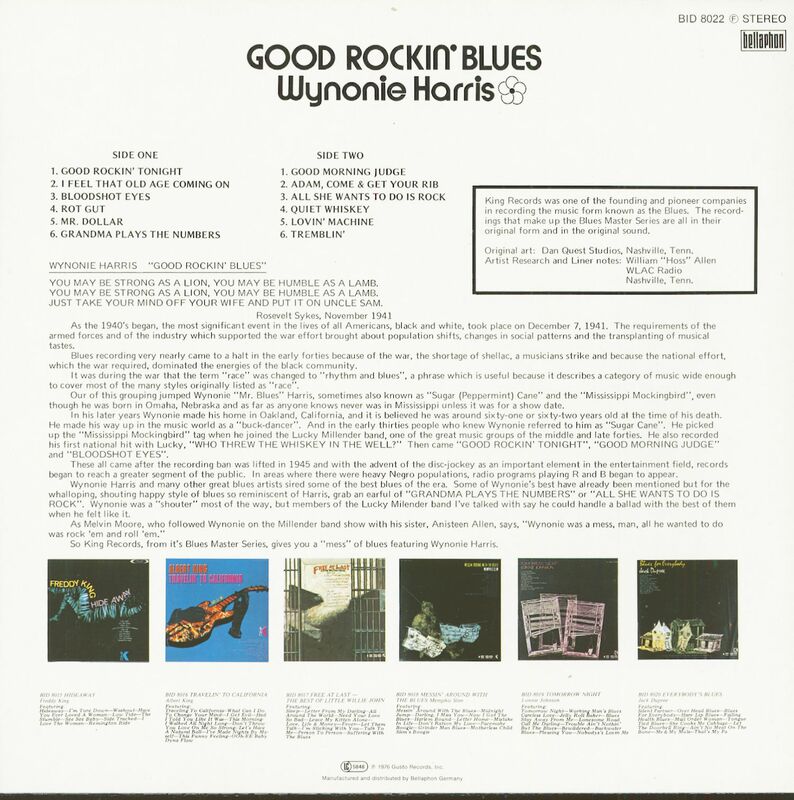 Customer evaluation for "Good Rockin' Blues (LP)"